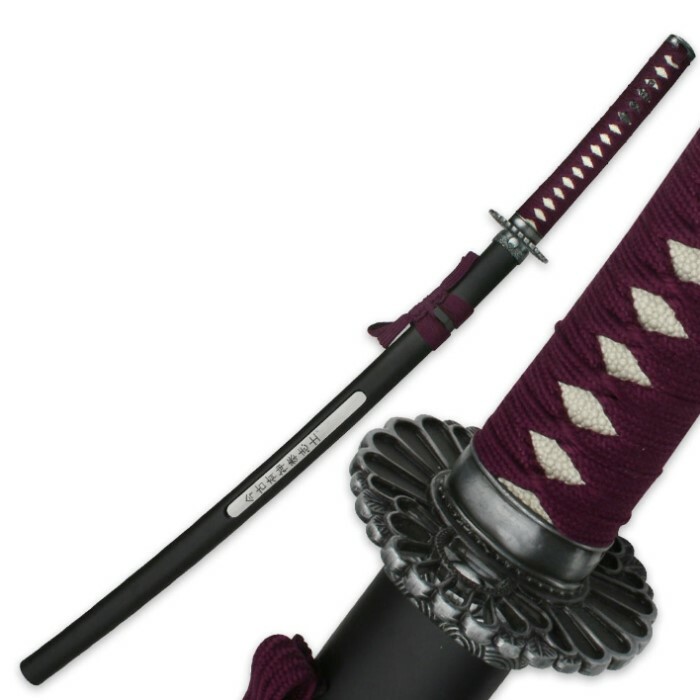 Purple Samurai Warrior Sword With Open Scabbard | BUDK.com - Knives & Swords At The Lowest Prices! 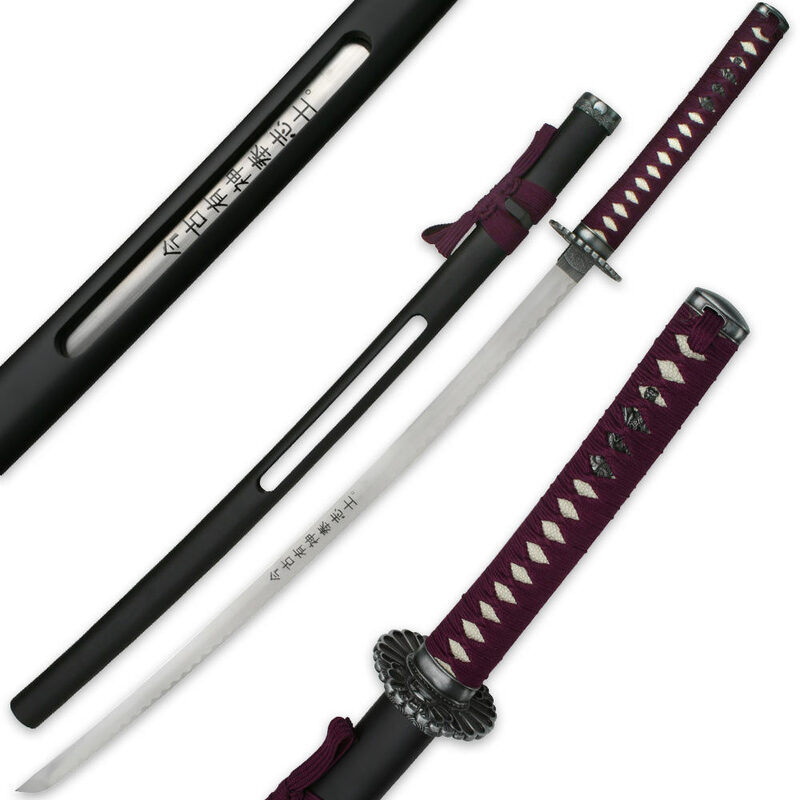 This samurai saya sword features a 27-1/2" stainless steel blade with a traditional Japanese inscription. A decorative habaki, tsuba, menuki and pommel add tons of old-world style and authenticity to this saya. The imitation ray skin handle is wrapped in maroon-colored cord. 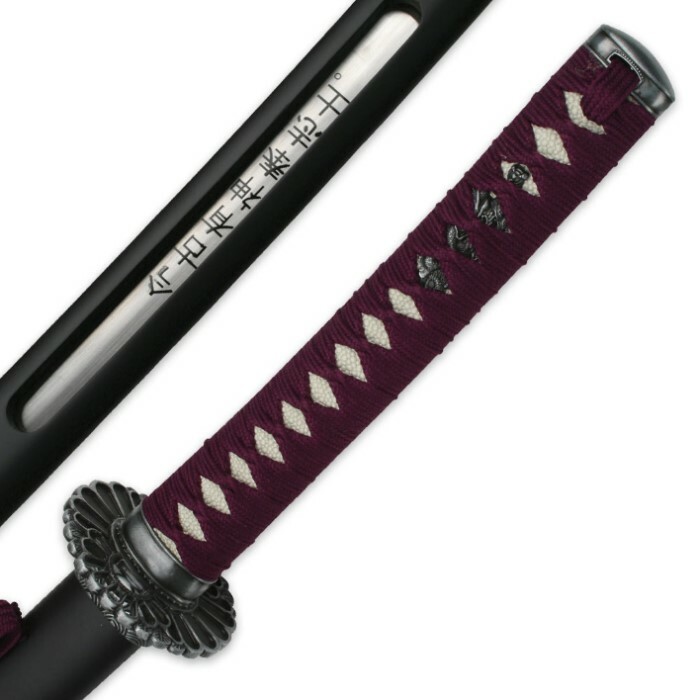 The scabbard features an opening that allows the Japanese inscription to be visible even while the blade is sheathed.